Home / Poland: an empty space on the map of the global maker movement? The Maker movement in Poland is a relatively new phenomenon. The most active makerspaces in the country can be found in Warsaw, the Upper Silesia agglomeration, the Tri-City (Gdańsk, Gdynia and Sopot), Łódź, Kraków and Poznań. To date, only 13 makerspaces are registered on the https://www.fablabs.io/labs?country=pl website. However, we can still find a relevant number of organizations across Poland that are experimenting with the maker culture, such as foundations, associations, social cooperatives or (student) academic/scientific circles. The involvement of Polish makers in the global maker movement appears as relatively weak. Polish makers and makerspaces rarely have direct contacts with such organizations from other countries because they do not believe that such contact is necessary. They mainly look at their activities as local ones, and they tend to work with small groups of makers, as well as with local enterprises or local government organizations. To date, there has not been even one Maker Faire officially endorsed by the Maker Magazine. Maker communities usually define themselves as groups consisting of highly qualified and talented “outsiders from normal society” . 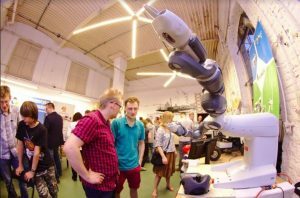 That is why the representatives of Fablabs insist that advanced social skills, which make it possible to create a vibrant micro-community, are so significant for the further development of the maker movement in Poland. Makerspaces coordinators often see themselves as local animators of groups of people who are passionately interested in applying technical knowledge and skills in a practical way. However, we can see that Polish makers are fascinated by the key values and principles that characterize the global maker movement, such as openness and innovation. Importantly, the Polish language lacks expressions which make it possible to describe the nature of this movement, the idea behind its existence and identity. In order to be able to describe what the maker movement actually is, Poles tend to use English terms, as there are not yet such fully understood equivalents in the Polish language. For a Polish person who is not aware of the maker movement, such terms are hard to be understood, and this may create a barrier when it comes to looking for external partners and allies. In the course of everyday conversations, many of those who make use of Polish fablabs use terms which come from the Polish language, and which therefore seem to them to be more natural, but do not fully transfer the meanings of the global English terminology. 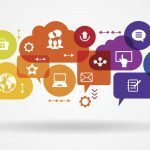 The most active makerspaces try to operate as social and learning spaces (provide activists with the opportunity to share experiences and to support each other), and this social aspect is often perceived as th e crucial value. Fablab Łódź and the Fablab at the Copernicus Science Center make attempts to fulfill this mission. The center in Łodź organizes several events that regularly convene makers across the country, students, young people, academics and amaterus. Events can be of various types. 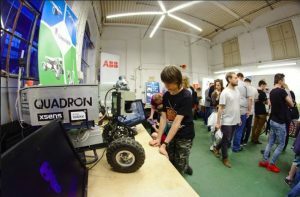 For example, The Makers Night gathers hundreds of people around a number of experimental projects and prototypes, while Hackhatons organized by the FabLab of the Copernicus Science Center provide opportunities to engage with creative and collaborative patterns of co-production and experimentation of new ideas and projects. Revitalizing and cultural: concentrating on the reconstruction and digital archiving of traditional productive techniques, sometimes defined as ethnographical intervention activities. It seems that the most diffused approach to relations between the maker movement, the manufacturing sector and the academic environment is a non-formal cooperation based on personal relationships. Mutual cooperation develops best when representatives of enterprises or the academic world are involved with makers. For many makers in Poland, their activities are a source of pride and personal satisfaction. When such people actually work at the same time in two completely different social worlds, then they: can better understand the advantages arising out of absorbing the idea of open source into the world of innovative industries; and can create links with maker communities which are based on trust and cooperation . Entrepreneurs who have relationships with the maker movement emphasize the fact that makerspaces create an exceptional atmosphere; that there is real commitment to carrying out the required work and that there is a great community spirit. They clearly feel that the environment is quite different in terms of fostering creativity compared to even the most egalitarian version of corporate culture in commercial companies. 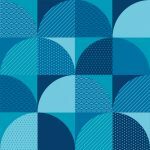 But it is a serious problem to maintain the required continuity in such relationships, especially in the long term, and it is also a problem to work out an effective business model for the maker movement centers.